Weiner's political career will never end, if only because of how much value he has to offer to the media, standup comedians and bored browsers looking for some news item to wake them up long enough to finish another hour of data entry at their job. Shame has become a mostly discredited concept. The return of Weiner and Spitzer to public life proves as much. But the Era of Shame ended conclusively with Clinton's impeachment proceedings. The only outcome of those proceedings was to degrade the country while leaving the man at the center of the mess intact. The New York Times ran a preachy editorial telling “the serially evasive Mr. Weiner" to "take his marital troubles and personal compulsions out of the public eye". The censure might have more credibility if the New York Times' editorial board hadn't defended the serially evasive Bill Clinton and urged him to stay instead of telling him to take him "marital troubles and personal compulsions" back to Arkansas. Is the New York Times really any less serially evasive than Weiner? And for that matter, the Gray Lady's David Carr makes Weiner look like a saint. At least Weiner probably didn't get around to domestic abuse, crack or baby stealing. The difference between Clinton and Weiner being made by the serially evasive New York Times is one of political convenience. Pushing Weiner out of the race now will help the Democrats secure Gracie Mansion by preventing a candidate with problems from heading up their party's ticket. If Weiner had already won the runoff, then the message would have been that we have to give him another chance. And another one. In the White House, Bill Clinton had to be defended to the death. If Weiner makes it inside City Hall, he will have the protection of the media mafia which only cares about making sure the players of the left can shoot and score some policy victories for their side. 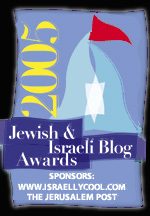 If John Edwards had become the President of the United States, he would have been defended to the death and any witnesses and accusers against him would have received the Linda Tripp treatment, instead of the slick lawyer being mocked and kicked to the curb once it became clear that his disgrace might damage the progress of the progressive agenda. “Enough of all the lies and salacious revelations, Weiner is not fit to lead America’s premier city,” the New York Daily News declared. He isn't, of course, but who is? Weiner's Democratic rivals include Quinn, the lesbian Council Speaker, who doesn't have a single thought in her head that Bloomberg didn't put there, John Liu, who may go to prison for campaign finance fraud, Bill de Blasio, the Che-quoting radical whose black wife claimed to be a lesbian. At this rate New York City may get its second black mayor, Bill Thompson, because he's the only normal one in the race. Too bad he's an empty suit in search of a body to fill it. New York City has never been the sort of place to be led by worthy men. 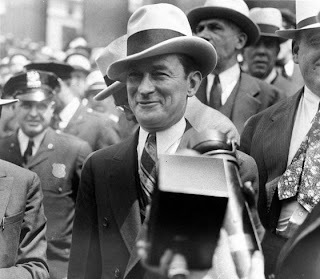 Mayor Fernando Wood was a gang member who used Tammany Hall to climb into the mayor's office. He was eventually dragged out of there by the National Guard, but not before a police civil war ensued. Mayor Jimmy Walker left his wife to marry a showgirl and fled to Europe to avoid being prosecuted for corruption. Despite all that, Fernando Wood gave the city Central Park and Jimmy Walker gave it some catchy tunes and a memorable sense of style. The difference was that Wood and Walker were never within laughing distance of the White House. New York City voters might make it through another election, fighting the gangs in control of the polling places to cast their vote for Walker, after he got done dumping his wife for a showgirl, or Fernando Wood, after he set off a civil war between police forces over the lucrative trash commissioner appointment, but national voters never would. New York was an outlier. Weiner though isn't an outlier. He's just another egotistical politician with poor impulse control and a political spouse. That makes him no different than Bill Clinton who presided over his wedding vows. The only extraordinary thing about him is the clumsy ways in which he takes self-destructiveness to a sheepish low. But even there he was nearly topped by John Edwards. The Clinton era established that a president can do what he likes in the White House and our duty is to avoid paying attention to it because it's his private life. At least once we've giggled enough about it and once enough news professionals have spent hours describing each of their sexual escapades to viewers in detail. And then the backlash against poking into his private life will kick in. That's not a moral standard. It's tabloid morality that knows no sense of right or wrong, only the utility of shock value. And why should it be otherwise? The family is a broken mess nationwide. 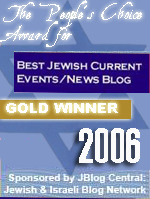 Why should it remain intact among the politicians who championed its destruction? A bachelor president would be unthinkable today, and yet the country was a more moral place in 1850 than it is today. And that may be why we need our leaders to act as symbols of normalcy so that we can be fooled into thinking that nothing is wrong. The New Yorker who voted for Jimmy Walker was almost certainly part of a family unit. The New Yorker who votes for Weiner or Quinn or de Blasio or any other member of the circus, will have more than a little in common with them. New Yorkers may have voted for Jimmy Walker, but they didn't live like him. Today they do live like Weiner, Quinn and the rest of the gang. And yet they expect higher standards from them. Shame depends on peer pressure. And peer pressure requires standards. When the standards only exist on television, then shame is an illusion, a mask that politicians can take off and put on again. And it's not as if we believe in shame anymore. Not when the media and a legion of gullible idiots celebrated the defeat of the Defense of Marriage Act. And if DOMA's death sparked some fireworks, why should we expect marriage to be sacred? The social policies of the past few generations calculatedly severed the bonds between parents and children and husbands and wives. Now we have moved on to mainstreaming homosexuality and redefining gender as a mental fiction. Every day brings new stories about "adorable" transgender kids. And if it's not that, then it's a woman marrying a bridge or outrage over a lesbian being persecuted for molesting a 14-year-old girl. We don't have norms anymore. Why should we have shame and why should we expect shame from the most powerful men and women in the country? Shame has become random. A tabloid game that we play. It's not based on a set of reciprocal values. There's no right or wrong. Few politicians personify shame as obligatory ritual the way that Elliot Spitzer does, sighing as he dutifully explains that he let everyone down and he's deeply ashamed and now would everyone please give him enough power to grind Wall Street and everyone else he has a grudge against into dust. Pretty please? Spitzer crowds every show on television to explain how he let everyone down and how he's going to fix that by cracking down on Wall Street. 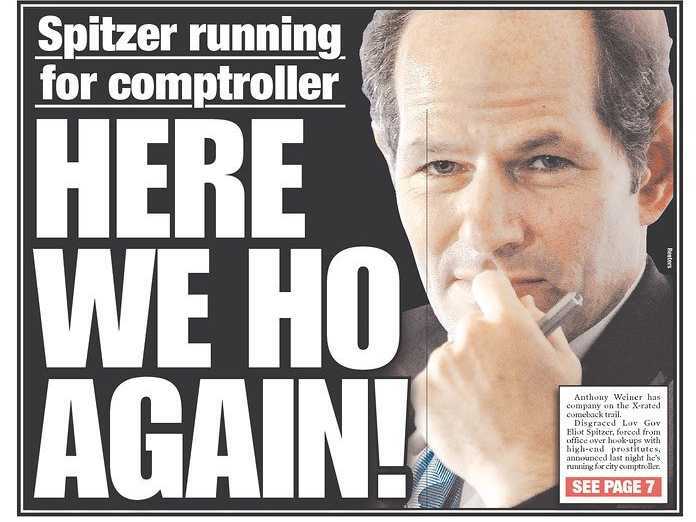 Only a fool would think that Spitzer had reformed and despite his high poll numbers, New Yorkers aren't fools. But they don't like being made fools of. They know that he hasn't changed, but they don't want their noses rubbed in it because it leaves them with the unpleasant choice of admitting that they voted for an amoral man or claiming that they were fooled. Weiner's comeback fooled no one. But no one wants to look like they were fooled either. That is why he's falling in the polls. And that is also the story of our society which, known to everyone is tumbling into a moral abyss, but which no one wants to admit to knowing because it implies complicity. It was easier in 1926. No one pretended to think that Mayor Jimmy Walker was a good man. Not even Walker. It was his cheerful amorality that they were attracted to. His contempt for the office he held, for any mores and values, even those of the most elementary competence and professionalism. New Yorkers liked a good joke, especially in those grim days, and Mayor Walker was an excellent joke, a high class bum posing as a politician, making mock of the very profession by occupying it. Since then society has become more hypocritical even as it has grown more amoral. We want our bums to play the part of decent men. We seriously expect men who dedicate their entire lives to climbing into office so they can hurl down gifts on their supporters not to be as corrupt in their personal lives as they are in their political lives. Unlike Walker's New Yorkers, we pretend to disdain the very thing that we are entertained by. Anthony Weiner is the perfect embodiment of the modern liberal beta male, who assures his better half of her moral superiority with his sheepish apologies for a pattern of behavior that everyone knows he will repeat. 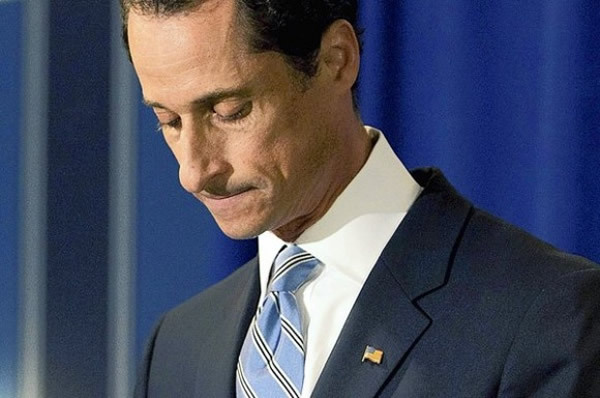 Jimmy Walker lived a broadly unapologetic life of corruption, while Weiner wears his hangdog expression to endless press conferences apologizing for his corruption. And that too is the perverse legacy of liberalism in making even sin into another joyless political ritual. In a society without moral values, shame is theater. There is no content to it, only a ritual that the shamed must pass through for the entertainment of the masses. The society that the values revolution made has has no room for moral judgement and yet it needs its entertainments, its circuses and serial humiliations. Shame was outlawed in the late 60's/early 70's.